Are you traveling to Cancun with your older teens? Or perhaps your college-age kid is heading to Cancun for spring break. 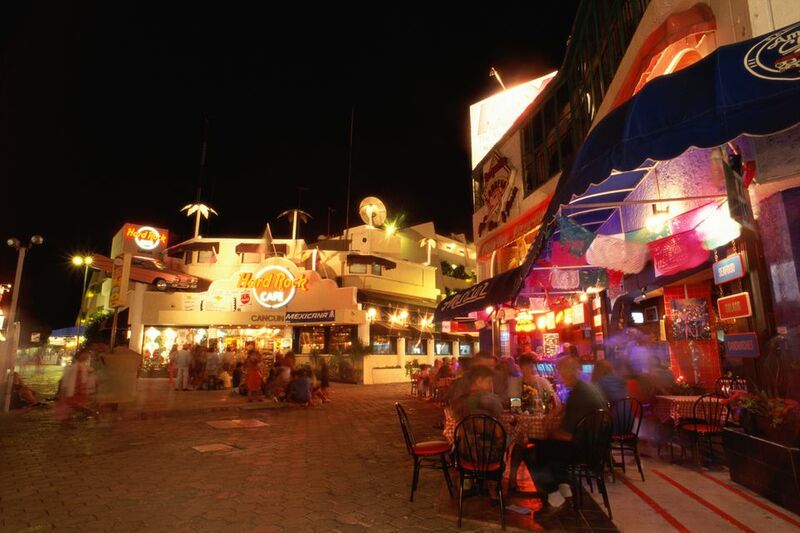 Here's what you need to know about the drinking age in Cancun. The minimum legal drinking age in Mexico, including Cancun, is 18 years old. Mexico requires that young adults show photo identification showing proof of age when purchasing alcohol, but this practice is not always strictly enforced at most resorts, bars, and nightclubs. "The U.S. Department of State warns U.S. citizens about the risk of traveling to certain parts of Mexico due to the activities of criminal organizations in those areas. U.S. citizens have been the victims of violent crimes, including homicide, kidnapping, carjacking, and robbery in various Mexican states. This Travel Warning replaces the Travel Warning for Mexico, issued April 15, 2016." The warning goes on to single out specific areas of Mexico that are particularly dangerous. Note that there is no advisory warning in effect for Cancun and the Yucatan Peninsula. Cancun has a low crime rate and is one of the safest cities in Mexico for tourists. If your family is traveling to Cancun, and especially if your teen is bringing along a friend, it is important for parents to know that teens age 18 and older have the ability to buy and drink alcohol and order alcoholic drinks from your resort's bars or restaurants. Younger teens who can pass for 18 may not be carded. It is important for families to set ground rules and spell out how much independence teenagers are given on vacation. At the end of the day, it comes down to trust. Is your college-age kid heading to Cancun for spring break? Since the minimum drinking age in the United States is 21, Mexico's comparatively lenient drinking laws can be tempting for underage college students looking for a party destination. The three-year window between 18 and 21 years of age is a major attraction for young people to travel to Mexico. Some lawmakers in the US have how to curb the activity and prevent American students from driving back intoxicated, but there is little they can do to restrict legal adults from traveling to another country. According to the U.S. State Department, 100,000 American teenagers and young adults travel to Mexico for spring break every year. Most visitors come and go without incident, but others wind up encountering trouble of one kind or another. Drinking in public. It is technically illegal to walk the streets of Mexico with an open container of alcohol, though it is not uncommon to see college kids on spring break meandering in public while drinking. In general, spring breakers are allowed to be drunk and loud as long as they don't endanger themselves or others. Still, they should be aware of the law. Using drugs. Unlike Acapulco, Cancun has largely managed to avoid drug war violence, though drugs are readily available for anyone who wants them. In 2009, Mexico decriminalized the possession of up to 5 grams of cannabis, but people caught with that amount can still be detained by police. The same law also decriminalized up to half a gram of cocaine, and small amounts of other drugs. Anything more than the limit can lead to imprisonment without bail for up to a year before a case is even tried, according to the US State Department. Taking a taxi. While in Mexico, students should be warned to use only the licensed and regulated "sitio" taxis. Using an unlicensed taxi in Mexico increases the risk of becoming a victim of crime. Swimming. Do not go swimming after consuming alcohol, especially when at the beach. Standards of security, safety, and supervision may not reach the levels expected in the United States. Beware undertow and rip tides in some areas of Cancun and the Riviera Maya.